With energy prices pushing higher, pellet stoves are surging in popularity. From the outside, these stoves look like common woodstoves. But the similarity ends there. Inside, augers automatically feed pellets from a hopper into a firebox. On most stoves, a computerized thermostat controls the speed of the auger - and thus the stove's temperature. Most stoves also offer automatic ignition, too. And unlike woodstoves, pellet stoves burn hot and clean - producing little smoke or creosote. Expect to pay $1,200 to $1,500 for a basic pellet stove - or $2,000 and up for a fancier model. Low-end stoves tend to be sturdy and highly automated, but basic in styling. Manufacturer SBI produces heating appliances, including wood and pellet stoves, inserts and fireplaces under the Osburn name. 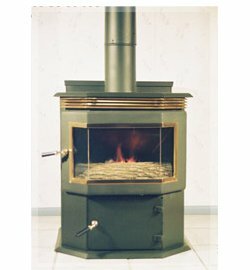 Canadian designer and manufacturer of wood and pellet stoves, wood furnaces and installation and maintenance products available in the US and Canada. Drolet stoves are a product of Stove Builders International, SBI. The American branch of Italian stove manufacturer Ravelli researches, designs, develops and manufactures high-end contemporary pellet stoves. 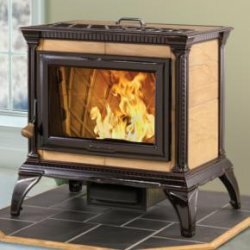 Headquartered in Vancouver Regency Fireplace Products distributes Regency, Hampton and Excalibur wood, pellet and gas stoves and fireplace inserts throughout the United States, Canada, Mexico, Australia, New Zealand and parts of Europe and Asia.